Blaine Capital, LLC, founded by Wall Street veteran William B. Smith, is an event driven Investment Manager that analyzes and invests in the public equity and debt securities of companies that trade at steep discounts to Private Market Value (PMV) and Sum-of-Parts (SOP) valuations. In today’s high frequency and algorithm fueled investment climate, Blaine Capital is a throwback to the days of fundamental research and rigorous analysis, preferring to look at hard assets trading at steep discounts to their Private Market Value. 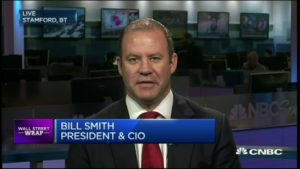 Mr. Smith is a frequent guest on CNBC and is often quoted in Barron’s, the Wall Street Journal and Bloomberg.